The article speaks about the great deeds of great all-rounders Kapil Dev and Ian Botham. They were great in their own esteem. Very few cricketers have come in international who had matched the excellence of these two cricketers. The 1980s were marked with the brilliance of landmark all rounders in International cricket including Imran Khan, Sir Richard Hadlee, Kapil Dev and Ian Botham. Ian Botham and Kapil Dev were complete all-rounders and showed their skills in batting, bowling and fielding. In 131 tests Kapil Dev had scored 5248 runs. He scored 8 centuries and had an average of 31.05. He also captured 434 wickets and for a long time remained the highest wicket taker in test cricket. In one-day internationals the record was even better. Kapil Dev scored 3783 runs in 225 one day internationals. He scored a century too. He also captured 253 wickets in those matches. India became a challenging team from the time Kapil Dev emerged in international cricket. 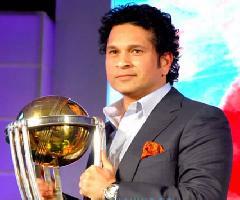 In his captainship India won the prudential cup in 1983. Kapil Dev was a brilliant fielder too and took 64 catches in tests and 71 catches in one days. His running between the wickets was best in respect of all the Indian cricketers in the 1980s. He was famous for hit sixes and was a hard-hitter. As far as bowling was concerned he did not have the pace of Michael Holding. But he was master of out swingers. He took 9 wickets in an innings against mighty West Indies in 3rd test in Ahmedabad. The great batsmen of all times Gordon Greenidge, Desmond Haynes, Sir Viv Richards, Clive Lloyd everyone fell in trouble to face his bowling in that test. That showed the great control over swing of Kapil Dev. In majority of matches he did not get adequate support in the form of deadly pacer in the other side. Ian Botham was the other all-rounder who was the major force for success of England in the 1980s. In 102 tests he scored 5200 runs with 14 centuries. He captured 383 wickets in those tests and still remains the highest wicket-taker in test cricket for England. He took 120 catches as well. In 116 one days he scored 2113 runs with 9 half-centuries. He captured 145 wickets and took 36 catches as well. Botham also had tremendous control over swing. He did not have express pace. But he had the control to move the ball in swinging conditions. Among the greatest all rounders he was considered the most accomplished batsman. Both Kapil Dev and Botham were outstanding cricketers in their own esteem, and international cricket became poor with their retirement. Is Twenty Twenty cricket really affecting the old charm of test cricket? 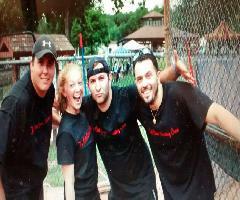 Softball Tournament remembers the educational cause of 19 year old who died in Haiti Earthquake . 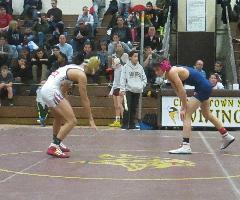 Coverage of Byram Hills’ Wrestlers in Tiger Wrestling Tournament in Mamaroneck. The statistics of all the 4 all-rounders of 1980s, Kapil Dev, Ian Botham, Sir Richard Hadlee and Imran Khan were very impressive.